Lulupu - The Craft Lounge: Washi Tapes are here!!!! OMG!!! This is so so awesome! Loved the full collection. You made these simple tapes look like super heroes! loved the creativity and the idea! Just Fab! Woooo hoooo Nikita!! Am so loving it.. My favorite is the last of the lot!! :D I just cant wait for the Washi tapes to reach my hands now.. I really, really love washi tape. I have found your blog through Pinterest and I especially love the last tape-card with the text 'you mean the world to me'. 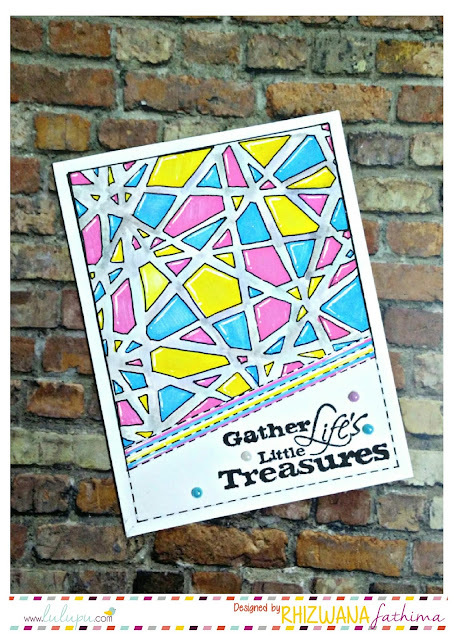 It inspired me to use the tape the same way, I posted it on my blog today. Thanks for the inspiration!